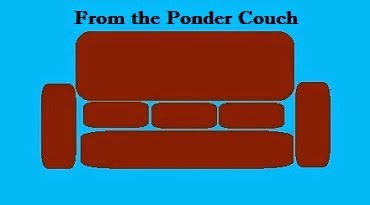 From the Ponder Couch: 3 New Songs! Pumpkins, Hearts, and Giggle Loops! I need to post things I make right after I make 'em. Pumpkin seeds are sprouting! Soon they'll be vining! And then... HALLOWEEN!!! A love song. About my wife. Because they all are. Even if the people in the song aren't actually me or my wife. A song inspired by the BBC comedy "Coupling". I wrote this a long time ago, but have only just now recorded it, finally. Please to enjoy all 3 from them!